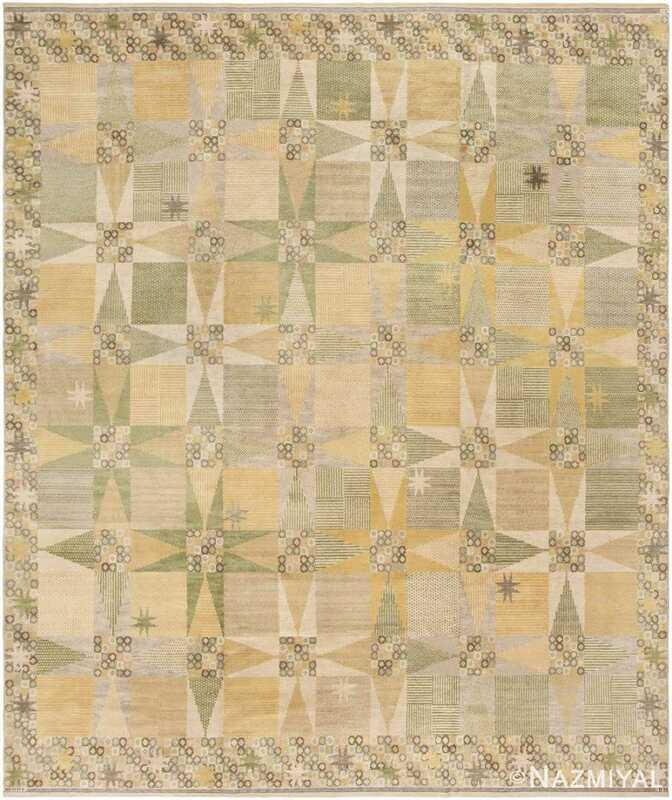 Crafted for MMF AB, this designer carpet depicts a charming collection of eight-pointed stars rendered in elegant colors and accompanied by sophisticated details. 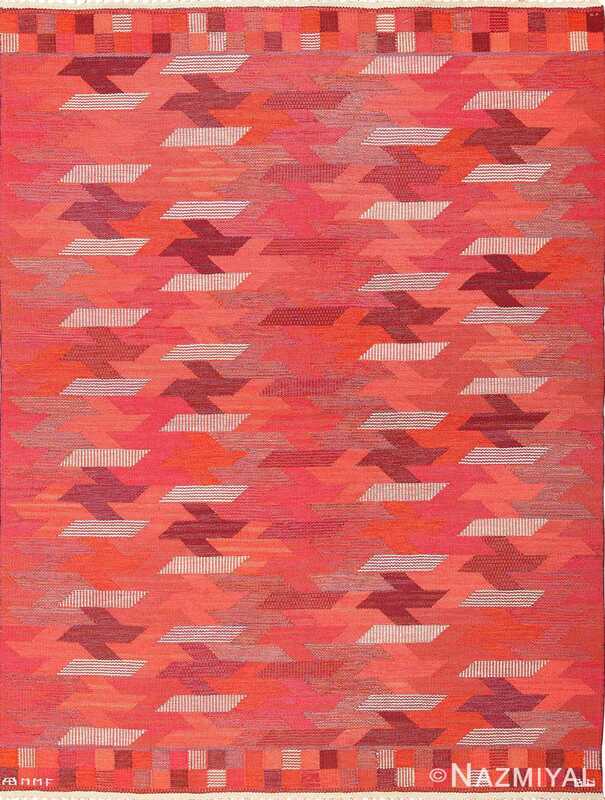 Vintage Scandinavian Rug by Barbro Nilsson for Marta Maas, Origin: Scandinavia, Circa: 1950 – Designed by Barbro Nilsson during her tenure as the creative director of Marta Maas-Fjetterstrom AB, where some of the finest vintage rugs were produced, this luxurious Swedish pile carpet embodies a Scandinavian standard of elegance that combines whimsical motifs with sophisticated patterns and restrained colors. This ingenious compartmental design features a stunning collection of patchwork tiles and right-angle triangles that form a kaleidoscopic pattern of counterchange stars. Tiled eight-pointed stars cleverly share corner pieces and produce a secondary pattern of four-pointed stars that emerge between the pointy arms of each block. Soft mossy greens, sandy yellows and low-contrast mid-tones arranged in subtle permutations are enhanced by hash-mark stripes, rail-fence parquet blocks and delicate Swiss dot accents. Charming polychrome ringlets and dainty small-scale stars decorate the elegantly patterned field and constellated borders, which embrace mid-century sensibilities. Is in phenomenal condition. 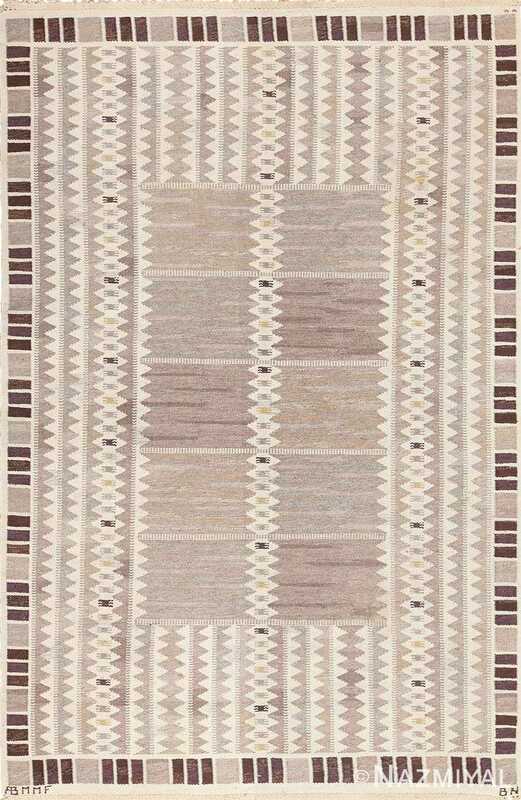 This piece is piled and since most of the Scandinavian rugs are flat weaves, it makes this carpet far rarer. 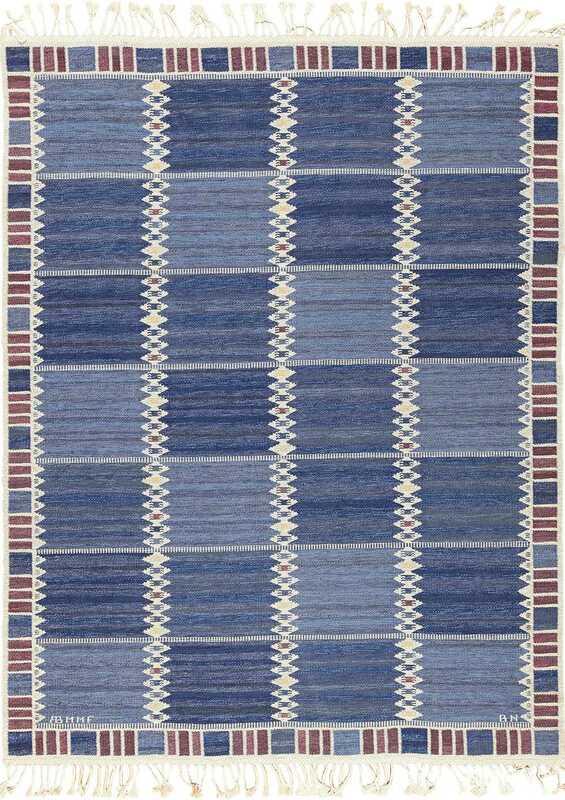 Not only is it a pile piece but the colors and overall design combine to give this rug a unique and artistic impact that is seldom seen in carpets.